Pupils at two North Yorkshire Primary Schools were taught about the importance of fire safety, as part of an information exercise around the construction of a new fire station. Pupils at Fishergate and St Georges Primary Schools in York were told about fire safety and safety on a construction site as part of the awareness day. Pupils learnt about the protective clothes fireman wear, as well as the need for construction workers to wear hard hats and high-visibility clothing to stay safe. Work started on the new fire station – which is local to both schools – in June this year. The new station will be a considerable upgrade on the current Clifford Street based facilities, and will include space for a crewed fire engine and rescue boat, a fire safety office and a community room which will be available to members of the public. 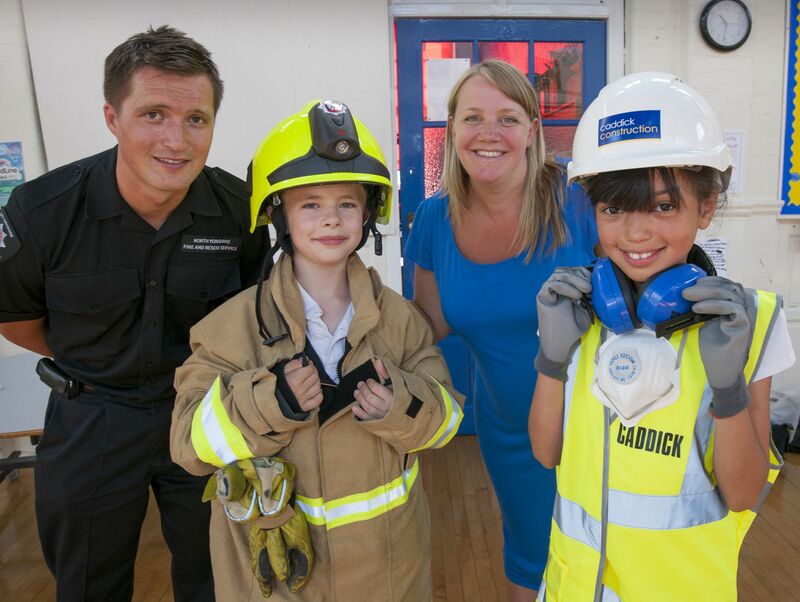 The new fire station is being built by Caddick Construction, and they supported the information day by providing an expert on construction site safety to talk to the children about the dangers of building work. The new fire station is expected to be completed early next year.